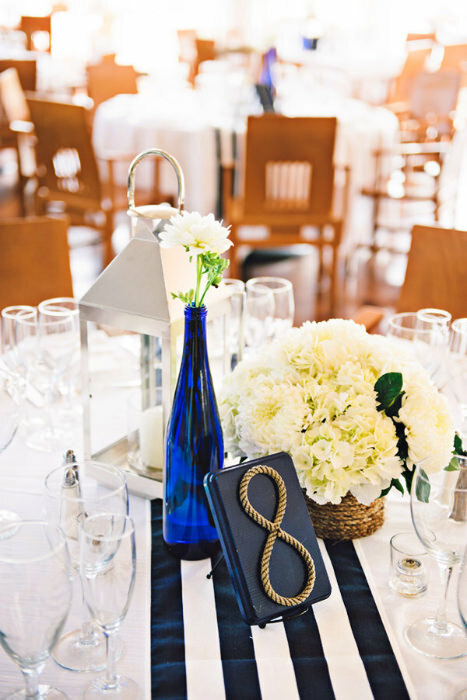 For a nautical inspired wedding, navy and white stripes in your decor are all you need to achieve the look. 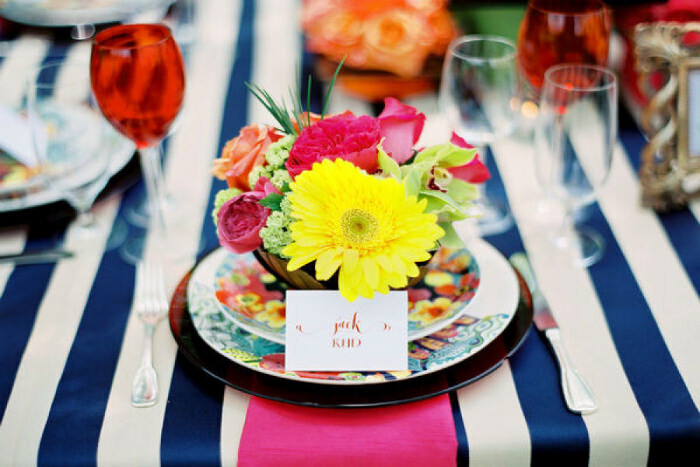 Stripes look great for the main color palette, or as a base for accent colors such as fuchsia or coral. 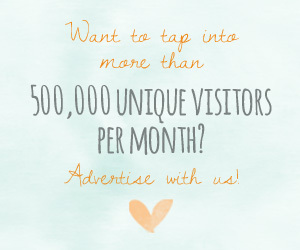 This theme is of course ideal for a beach wedding but can also give a summery atmosphere to other venues. 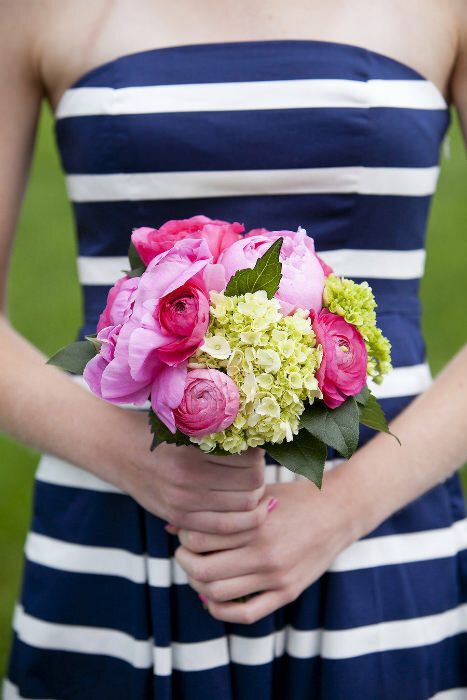 Think beyond the plain bridesmaid dresses and opt for a bold strapless dress. 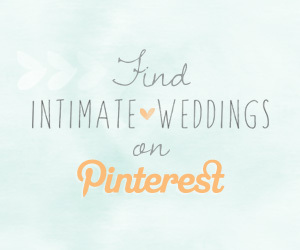 Your bridesmaids will thank you for choosing a dress that they can wear after the wedding too. 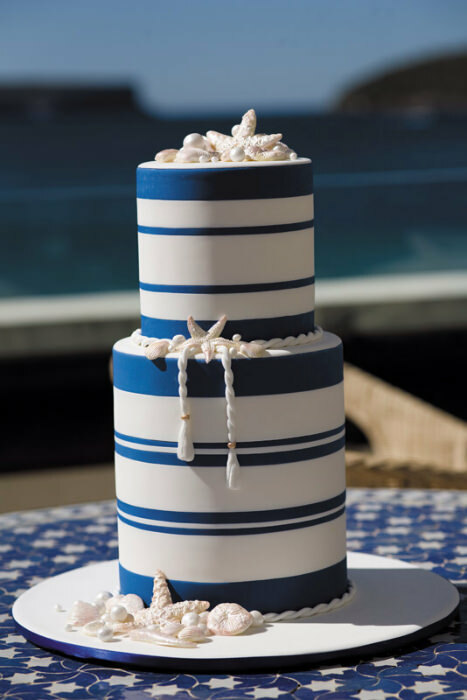 A stunning navy and white cake adds a graphic element and some flair to a tiered cake. 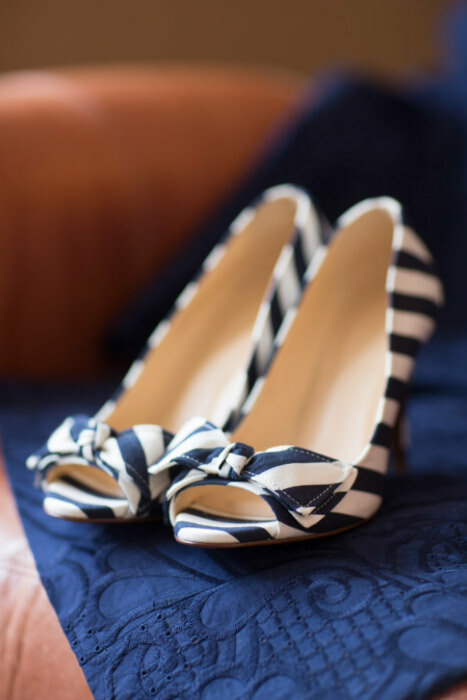 A glimpse of these nautical shoes can also double up as your something blue if you’re looking to modernize a wedding tradition. A striped runner with a scattering of seaside decorations is definitely in keeping with the theme and is also a great way to DIY your centerpieces. If you’re into subtle decor then you can still incorporate stripes by having striped ribbon at the top of your vases. 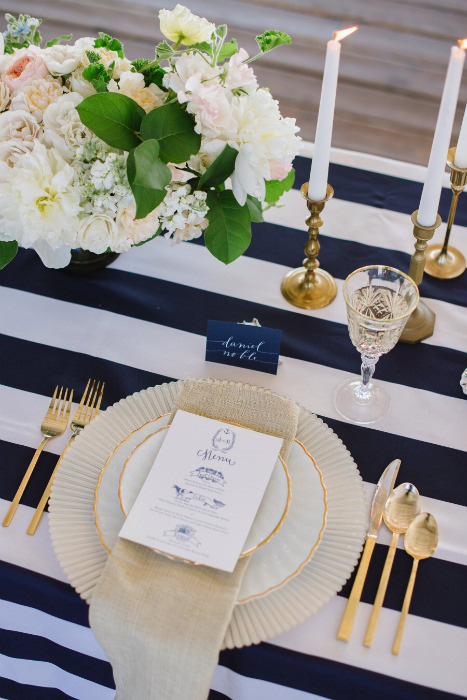 Gold is such a lovely color to pair with navy and white and transforms it into an elegant affair. 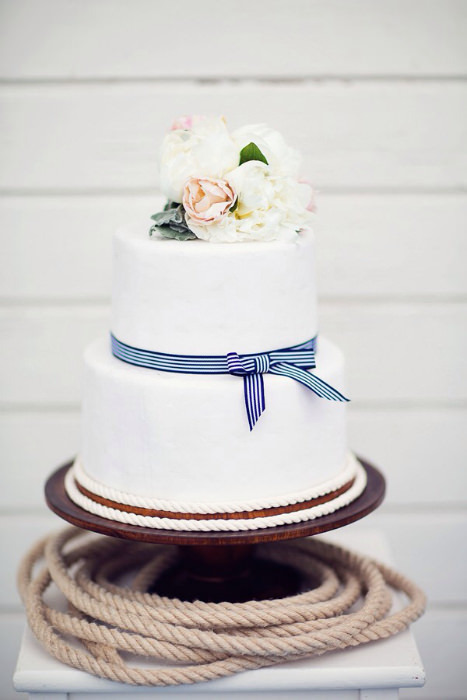 A simple ribbon can make all the difference to a white cake! 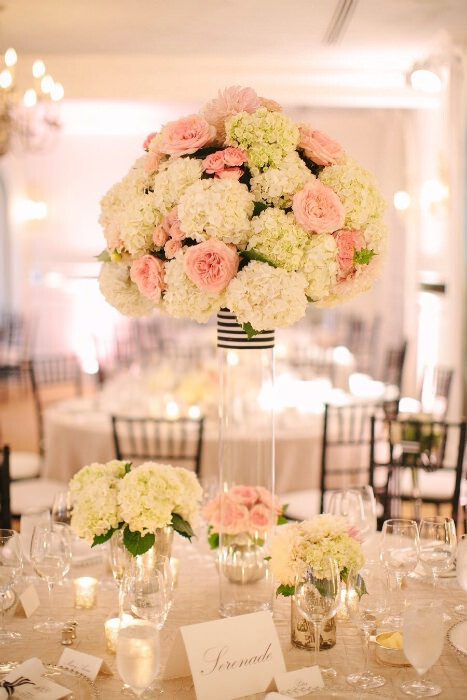 To really emphasize the summer mood, individual floral arrangements in bright tones will leave your guests feeling positively joyful. 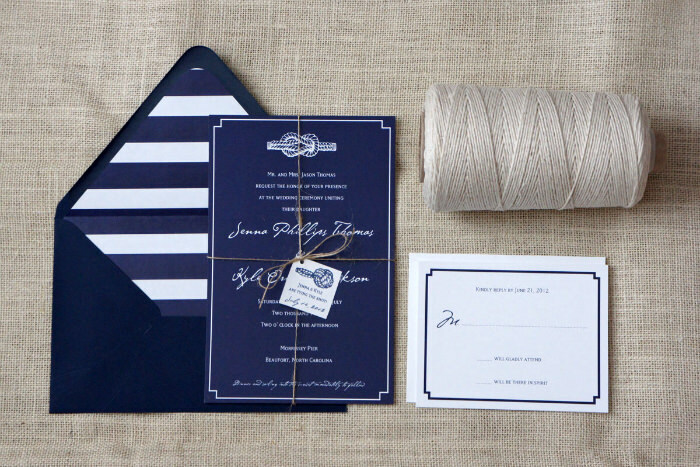 A striped invitation is a statement piece but as navy and white is such a classic pairing, it still looks understated. 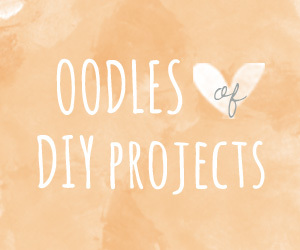 We are envisioning a DIY project with these vases! 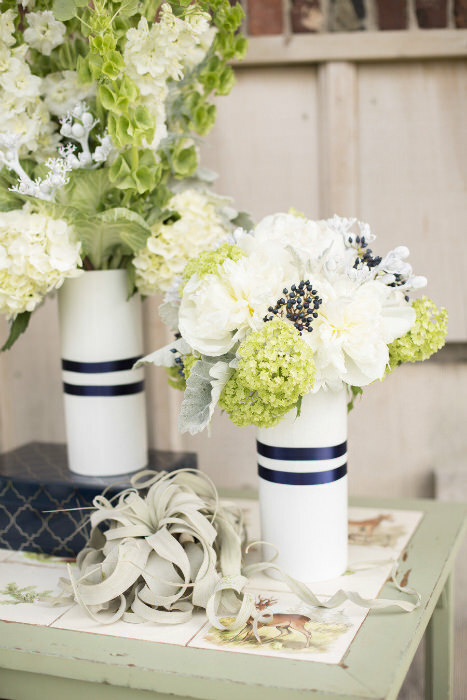 Two pieces of navy ribbon on a white vase is all you need to recreate some simple stripes. 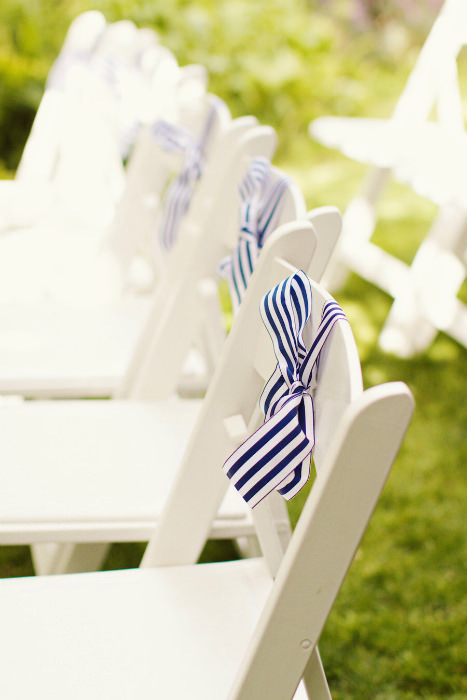 If you’re stuck with plain chairs from your venue, these cute bows will add some oomph. 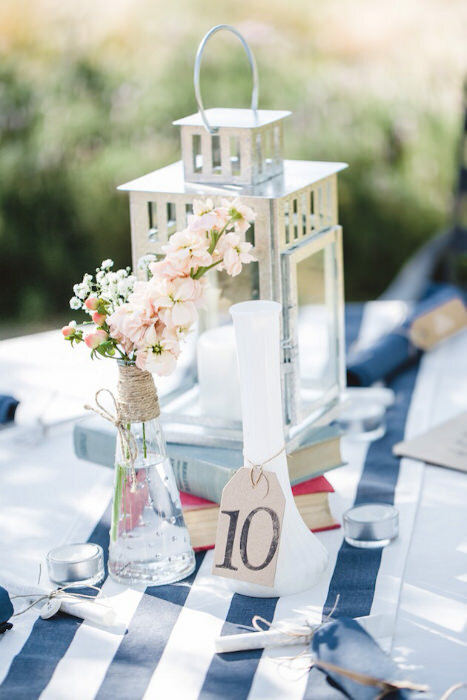 The navy in the tablecloth will stand out even more when paired with other blues such as a cobalt bottle and indigo table number.